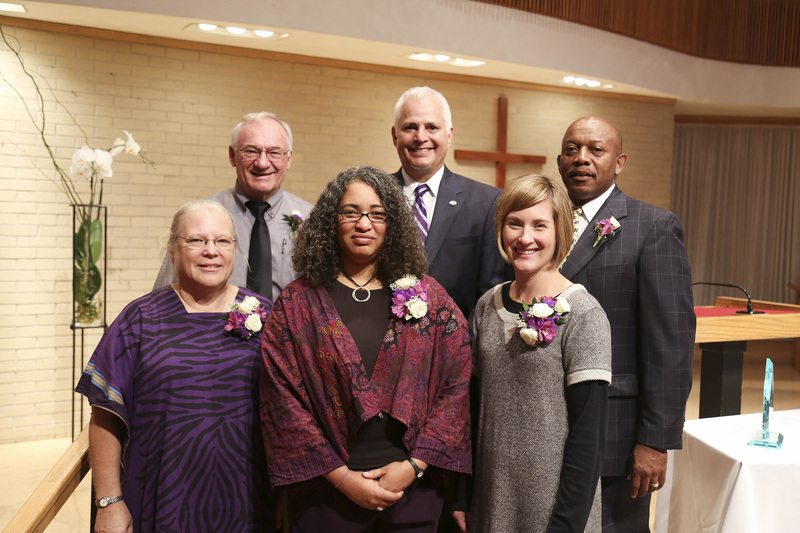 During Goshen College’s Homecoming Weekend on Oct. 3-5, the college will honor five exceptional alumni with awards for their commitment to the college’s core values. 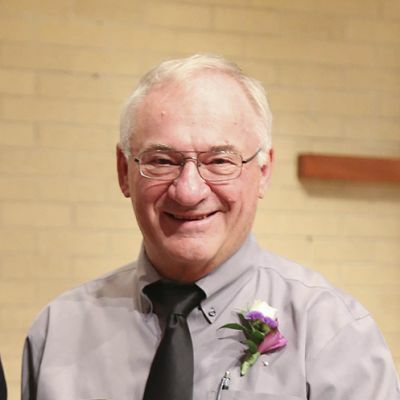 Sponsored by the Goshen College Alumni Board, the 2014 Culture for Service Awards will be presented to Esther Kawira, a 1974 graduate from Shirati, Tanzania, and Ray Funk, a 1969 graduate from Prince Albert, Saskatchewan. The 2014 Young Alumni Servant Leadership Award will be presented to Malinda Berry, a 1996 graduate from Elkhart, Indiana. 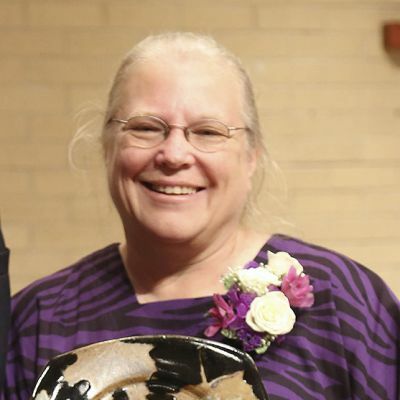 The 2014 Dr. Ruth Gunden Champion of Character Awards will go to Mandy Yoder, a 1999 graduate from Elkhart, Indiana, and the Dr. Roman Gingerich Champion of Character Award will go to Kenneth Edwards, a 1981 graduate from Morristown, New Jersey. The awards will be presented on Friday, Oct. 3 at 10 a.m. in the Church-Chapel during convocation, with a reception following in the Church Fellowship Hall at 10:45 a.m. These events are free and open to the public. The Culture for Service Awards were initiated in 1989 and are given annually to honor Goshen College graduates who have made lifelong commitments to service. Recipients distinguish themselves through commendable accounts of service and achievements at home or in their churches, colleges, communities and the larger world. There will not be a Decade of Servant Leadership awarded this year. For the ninth year, the Goshen College Maple Leafs Athletic Club is presenting the Dr. Ruth Gunden and the Dr. Roman Gingerich Champion of Character Awards. The two awards, created in 2005, are presented to a male and female alumni athlete who exemplify the college’s core values in their lives, work and community service. Gunden and Gingerich were pioneers in Goshen College’s athletic history. For more than 30 years, Dr. Esther Lehman Kawira, a 1974 graduate from Shirati, Tanzania, has worked as a physician tending to the needs of patients in that country. Though she grew up in the United States, Esther has raised a family, practiced medicine, researched childhood cancer and started a non-governmental organization in the Tanzanian village that she calls home. When Esther was a student at Goshen College in the early 1970s, she took a year off to serve in the Netherlands with Mennonite Central Committee. While there, she discovered that she loved immersing herself in other cultures. While studying pre-med at Goshen, Esther met Josiah Kawira, a student from Tanzania who was studying economics. There was an instant connection. They married after Esther finished medical school and residency in 1980. Three years later, along with their one-year old daughter, Sara, the family moved to Shirati, Tanzania. After working at Shirati Hospital for over 20 years and directing the hospital for seven, the Kawiras were surprised when new hospital leadership removed Esther’s position. Esther faced the reality that she might have to leave her home in Tanzania. Despite the setback, the Kawiras were dedicated to continuing to improve public health in Shirati. In 2012, Esther and Josiah established the Shirati Health, Education and Development (SHED) Foundation, dedicated to humanitarian, development and health work. Once the Tanzanian government approved the program, the Kawiras established the Sota Clinic, a village-based health care clinic overlooking Lake Victoria. Local community members assisted the construction. The building was ready for patients by October 2013. 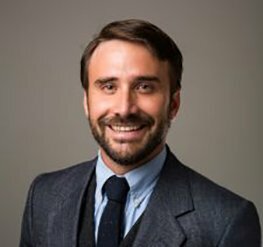 Today, the clinic specializes in Burkitt’s Lymphoma research, imaging and ultrasound, inpatient services, male circumcision, prenatal care, childhood immunizations and outpatient malaria care. The clinic is village-based, but its reach extends across Tanzania due to its highly regarded reputation for quality care and research on Burkitt’s Lymphoma, the most common childhood tumor in Africa. In addition to her work in the health care field, Esther has also worked as a teacher, writer and development worker. Esther and Josiah are supported by College Mennonite Church in Goshen. Their four children, Sara ’04, Timothy, Jona ’12 and Joel ’14, all currently live and work in the United States. Ray Funk’s lifelong work has been driven by a vision of community and social justice. Funk, a 1969 graduate from Saskatchewan, Canada, used his leadership role as a member of the Canadian Parliament from 1988 to 1993 to benefit minority groups and economically depressed communities. Funk has focused on resolving long-standing conflicts between Canada’s aboriginal “First Nations” peoples and the prejudice and governmental structures that have historically dominated them. He has worked directly with minority community leaders to resolve these conflicts. Funk’s passion for working with marginalized communities stems from his childhood in Saskatchewan, Canada. As a 10-year old, Funk played with children on a First Nations reserve where his father farmed land. This experience sparked his curiosity in cultures different than his own—an interest that led Funk to attend Goshen College. After graduating from Goshen with a degree in sociology, Funk moved to Ontario and began working in adult education and community development. Later, he returned to the United States to earn a master’s degree in adult education from Michigan State University in 1981. In 1985, Funk started Spruce River Research, a nonprofit organization in Saskatchewan committed to community economic development. For more than 20 years, Spruce River Research has facilitated successful partnerships between industries, aboriginal organizations, communities and the government. Funk’s political career culminated in the 1988 election, when he was elected as a member of the Parliament of Canada for the Prince Albert/Churchill River district in Saskatchewan. He served in Parliament from 1988 to 1993, a time he called “one of the most exciting terms of office in modern Canadian history.” During Funk’s term, Nelson Mandela came to address Parliament, constitutional developments were underway and a violent land dispute occurred between a First Nations group and the town of Oka, Quebec. As a politician, Funk was heavily involved with peace and social justice issues. He authored and introduced a peace trust fund bill in the House of Commons, though it did not pass. He was also heavily involved in the creation of the Nunavut Territory, Canada’s newest and largest territory. Today, Funk continues to work with First Nations peoples through Spruce River Farms. 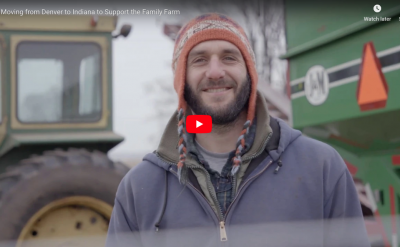 He and his wife, Shirley Falstead, recently helped to start an organic farmer’s market near their home in Saskatchewan. 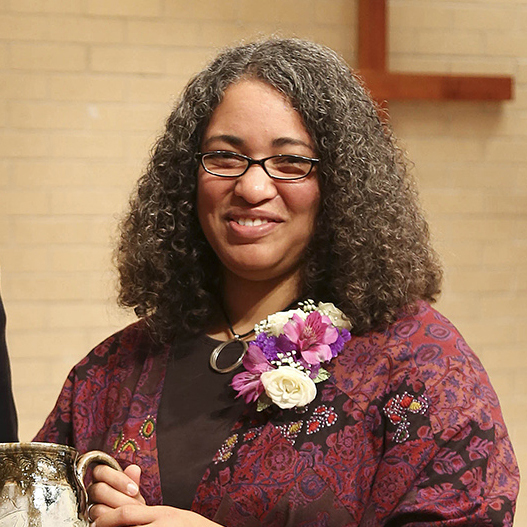 Malinda Berry, a 1996 graduate and an assistant professor of theology and ethics at Anabaptist Mennonite Biblical Seminary (AMBS), is a life-long learner. She has written about and presented on an array of topics: spirituality, feminism, race, peace, theology, cooking and the literary arts. Berry graduated from Goshen College in 1996 with a degree in history and English. She received a master’s degree in peace studies from AMBS and a master’s degree and doctor of philosophy degree from Union Theological Seminary in New York. 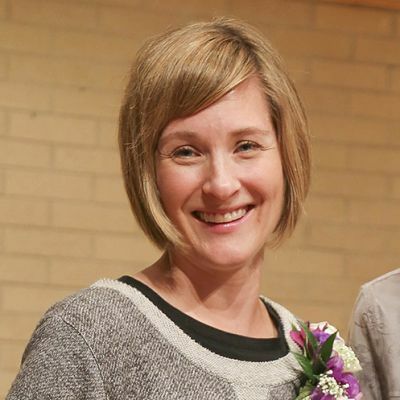 She served as an assistant professor of theological studies and director of the master’s program at Bethany Theological Seminary, a visiting scholar in religion and women’s studies at Goshen College, an associate director of Mennonite Voluntary Service and the chair of the Mennonite Education Agency board of directors. “I’ve spent my life thinking deep thoughts, teaching, gardening, canning, knitting and engaging in Mennonite Church USA politics,” Berry said. Berry and her husband, John Stoltzfus, have a one-year-old son, Jeremiah. They attend Fellowship of Hope Mennonite Church in Elkhart. Yoder, who played tennis for Goshen College, first discovered her passion for ministry as a college student. 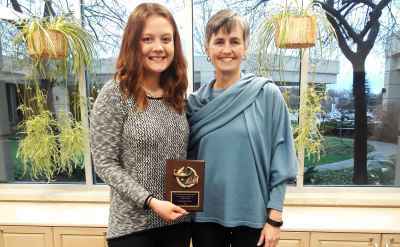 During the summer after her junior year, Yoder interned at College Mennonite Church through the college’s Ministry Inquiry Program. As she stewed about what to do after graduation, her then-boyfriend and future spouse, Jon, asked if she would consider going to seminary and becoming a pastor. After graduating from Goshen College, Yoder began studies at Associated Mennonite Biblical Seminary (now Anabaptist Mennonite Biblical Seminary). Two years later she and her husband moved to Indianapolis, where she finished her seminary degree by attending Christian Theological Seminary and commuting to AMBS. For the next year she worked at the Homeless Initiative Program doing street outreach and case management, then joined the pastoral team at First Mennonite in Indianapolis. Five years later, she moved back to Elkhart County to pastor at Belmont Mennonite Church, where she continues to serve today. Her work involves pastoral care, preaching and oversight of faith formation for all ages. She’s also involved in providing leadership for small groups, spiritual direction leaders and community life events. “I would see my primary life goal as being to share the love of God with those I meet in the way that Jesus did–with no qualifications; to listen well, pray hard and think carefully; and to search diligently for what God might be doing so that I can get on board,” Yoder said. Yoder lives in Elkhart with her husband, Jon Schrock, and her two children, Noah and Anna. Kenneth E. Edwards, an audit partner at the accounting firm CohnReznick LLP, has dedicated his time to providing economic and educational opportunities for minority groups. Edwards is a founder of the Hope Chest Scholarship Foundation (HCSF), an organization that has provided nearly $1 million of post-secondary education financial assistance for minority students from New Jersey. Edwards also serves as board member for the Urban League of Morris County Inc., a nonprofit community service organization that empowers minority groups to achieve economic self-reliance and improve their quality of life. “The core values, many of which were instilled in me at Goshen College, continue to be integral to how I try to live my life today,” Edwards said. During Edwards’ time at Goshen College, he was a star athlete on the basketball and baseball teams, actively participated in the Black Student Union and hosted his own late night show on the college radio station, 91.1 WGCS. “The college, its students, my basketball coach and my professors embraced me in a way that helped to shape my character, my career, my confidence and my spirituality,” Edwards said. In 1981, he graduated with a degree in accounting. Since then, he has spent more than 25 years in the financial industry, working primarily in public accounting. Today, at CohnReznick LLP in Roseland, New Jersey, Edwards works with clients in manufacturing, distribution and wholesale industries. He informs them about Security and Exchange Commission (SEC) regulations and complex accounting concepts. 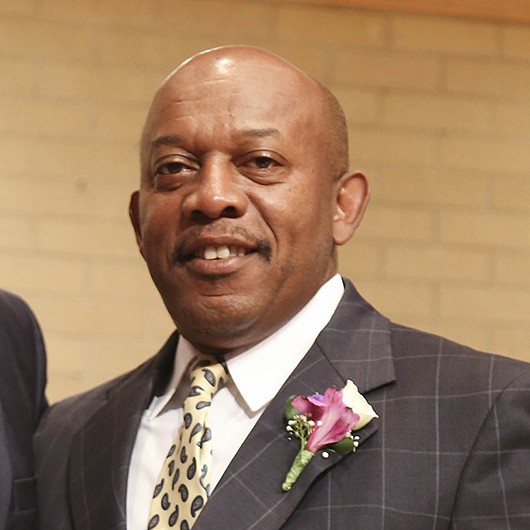 Edwards is active in his church, Calvary Baptist Church in Morristown, New Jersey, where he serves as the head deacon. He and his wife, Gwen (Reid) Edwards ’83, a member of the GC alumni board, have three children, Ken Jr., Camile and Corry.